Ready ► Set ► GO! 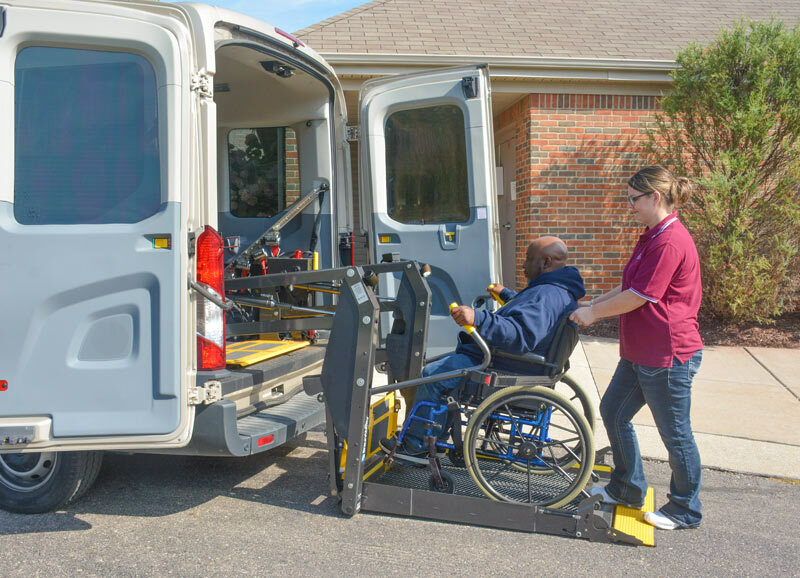 Rehab Transportation provides non-emergency medical transportation services to those with limited mobility. We will get you to wherever you need to go safely. We offer scheduled, on-time pick-ups. Drivers are available 24 hours a day, 365 days a year to handle ALL of your transportation needs. You will have a professional and safe experience thanks to our trained drivers. Our drivers go through a comprehensive training before getting behind the wheel. Our top priority is getting our clients to their destination safely. To learn more about our drivers, visit Our Staff. Rehab Transportation provides door-to-door service. Our drivers will do everything necessary to get you ready to go, wait through an appointment with you, and get you home and settled in safely. Click to learn more about our expert care. We provide a wide variety of vehicles, everything from wheelchair lift vans to passenger vans, to four door sedans. Click to learn about all of our vehicles. We offer competitive rates for all of our services. We also offer highly trained drivers who are paid an hourly rate for their time, so our prices may differ from other transportation services. Group and organizational rates are available, as are those trips that will be recurring. Please note that a nurse or caregiver will not be charged to ride with their client. Rehab Transportation does not charge extra for the first hour of wait time on any trip.